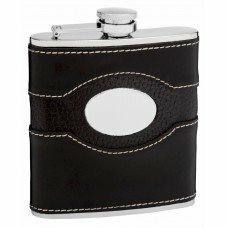 This 6oz genuine black leather hip flask makes a great gift for both men or women but sales history shows the recipients are primarily men. The leather itself comes from cow hide. We use two types of leather, a smooth leather on the top and bottom of the flask and a embossed leather running through the center; these leather pieces are also accented with a quality cotton stitch running all the way around the perimeter. 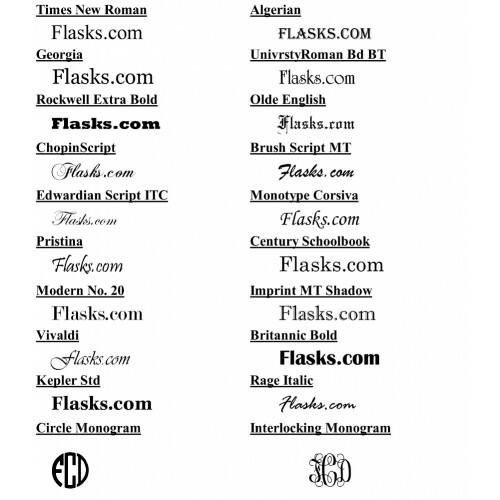 This two-tier design is very complicated to create but adds a lot of style and pizazz to the flask. 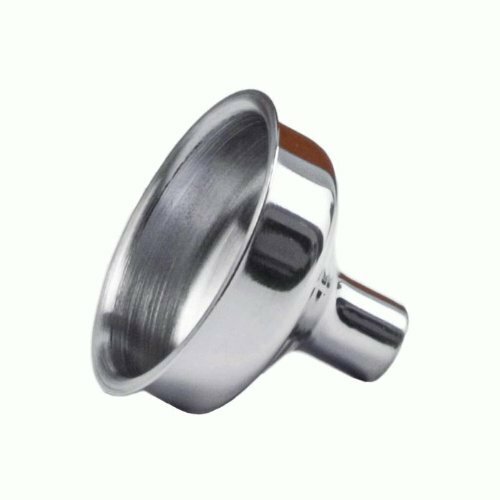 The oval engraving area is perfect for a three letter monogram, a first name or a first and last name. 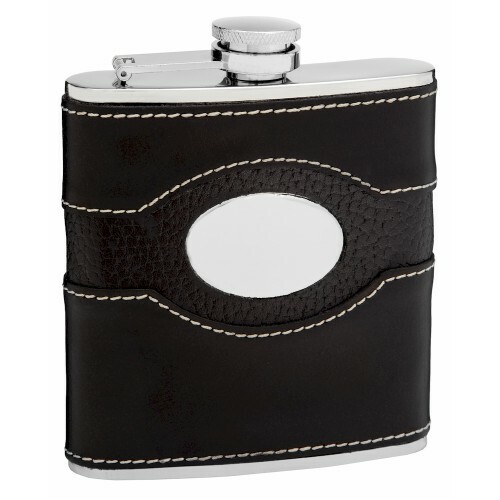 A monogram would look best on this flask given the small size of the engraving area. 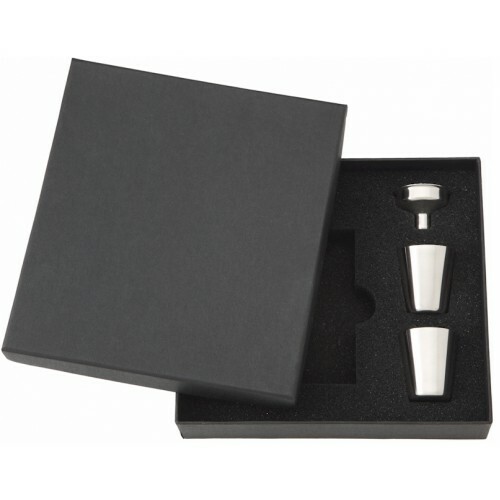 We build the flask using only premium quality 304 stainless steel, genuine split grain leather and we laser weld the joints so the flask will never leak.